I saw this romper on the NastyGal website, but it was out of stock and more than I would have spent anyways. 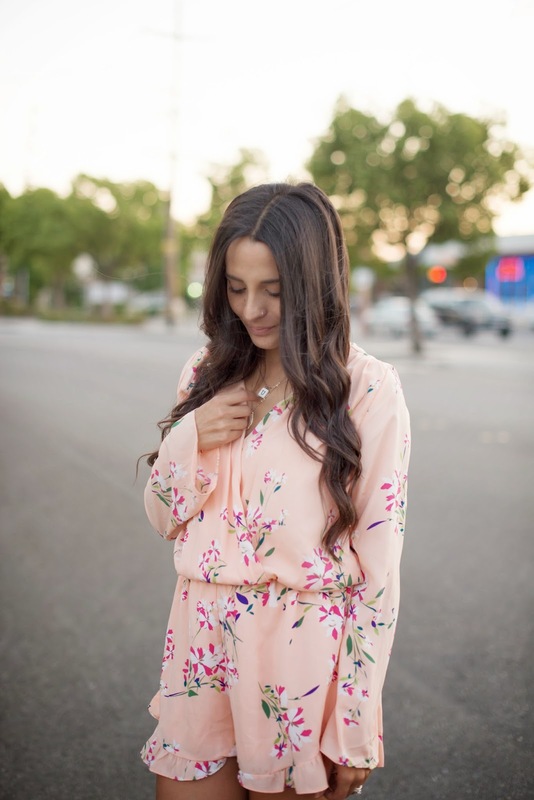 The more I saw it pop up on other blogs and Pinterest, the more I loved it- it was such a pretty color and print and I was crazy about the kimono sleeves. I was browsing a website called Necessary Clothing and there it was- the lovely floral romper I had been day-dreaming about. Not only was my size available, but it was HALF the price of the romper I saw earlier. What? Done and done. If you follow me on Instagram (@FrancescaPenko), you've already seen this romper pop up. It just might be one of my favorite summer purchases. Happy Friday and thank you for reading! Such a pretty romper, you look stunning! It's actually super pretty and at half price -- I don't blame you!